In 1928 the Cineland Ostia Lido was a renowned industrial complex for producing mechanical parts, agricultural machinery and railway wagon construction. 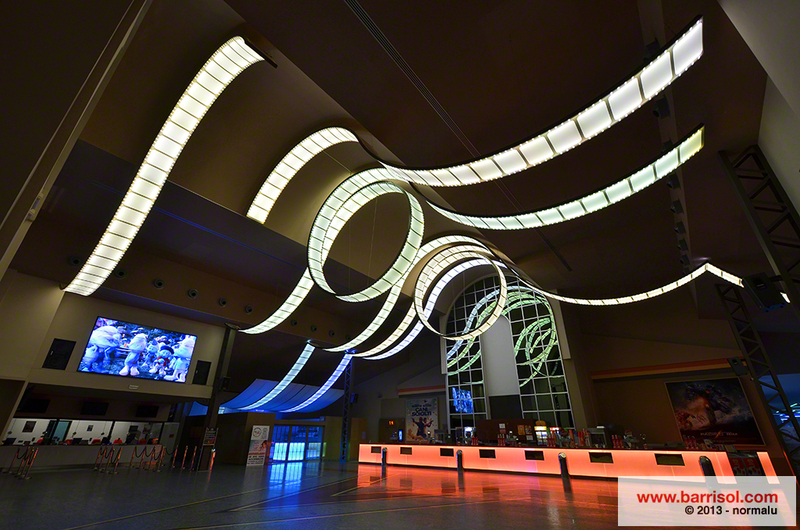 After a long period of neglect, in 1999, it was renovated and converted by the architects Bruno Spinozzi and Maria Guarrera, who transformed it into an exceptional leisure and cultural space. 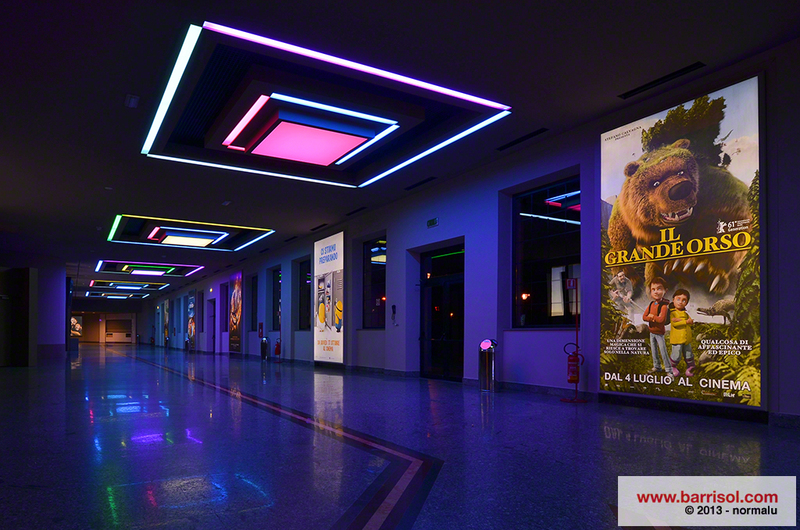 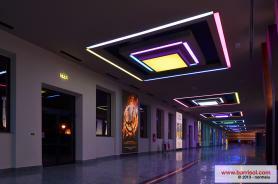 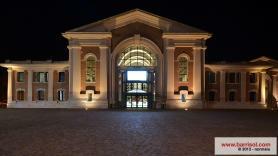 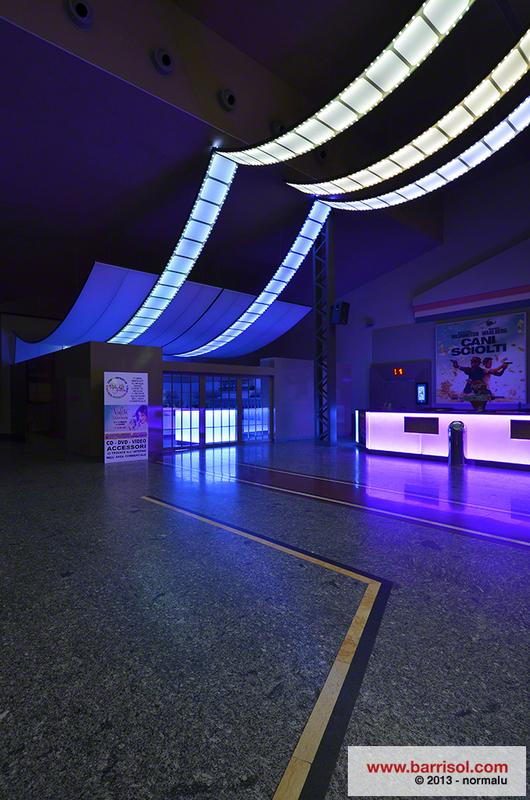 A fourteen screen multiplex cinema was created for the occasion. 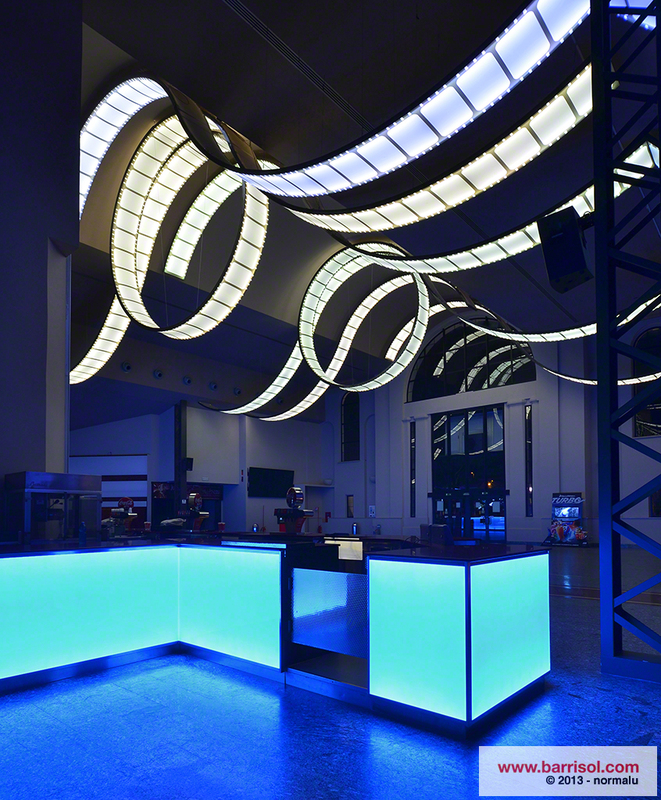 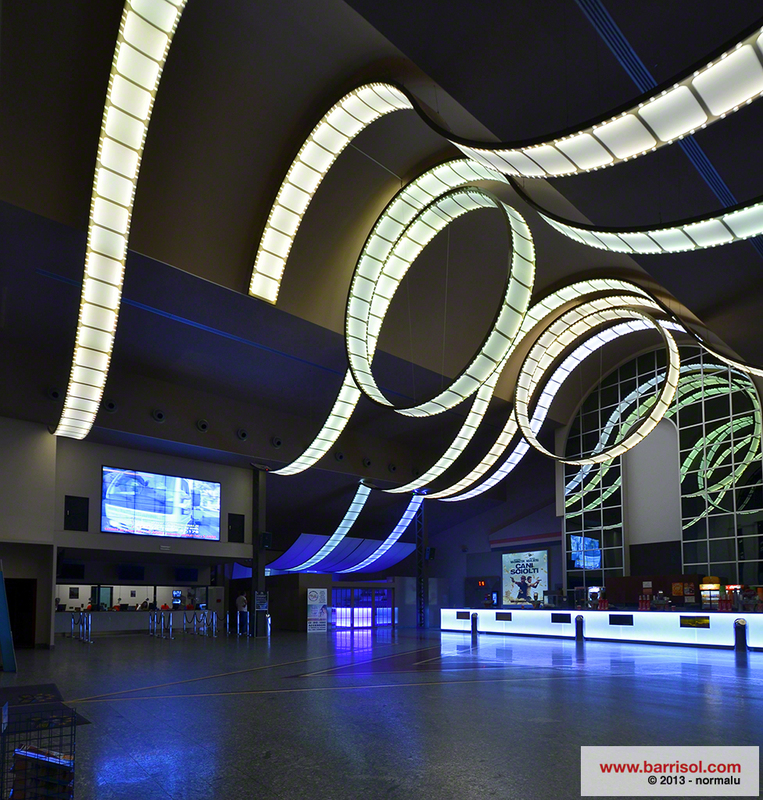 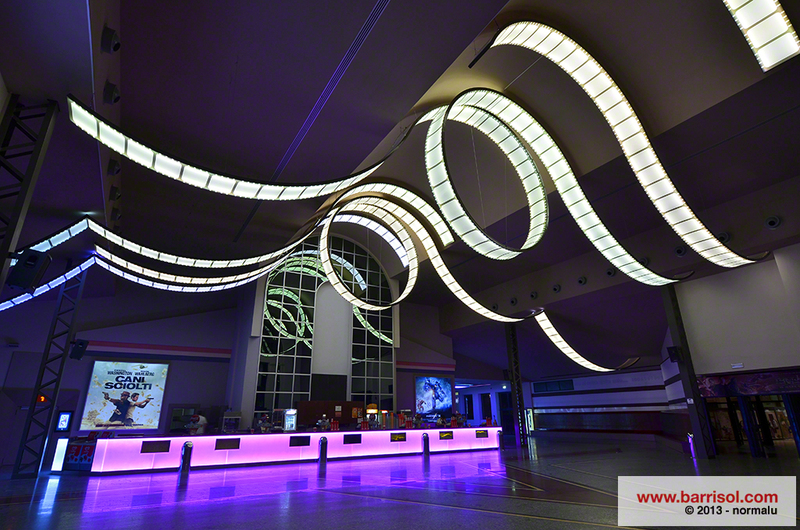 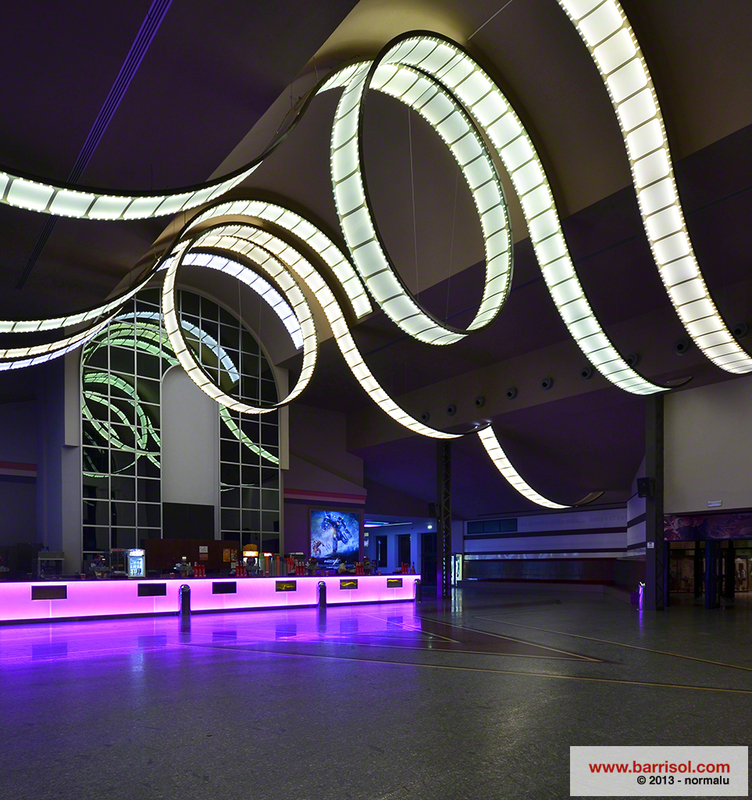 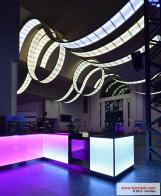 Several technical solutions were provided by Barrisol to achieve this exceptional achievement, combining several technical innovations: Barrisol 3D - Barrisol 3D light ceiling and Barrisol Lumière Color coloured light ceiling. 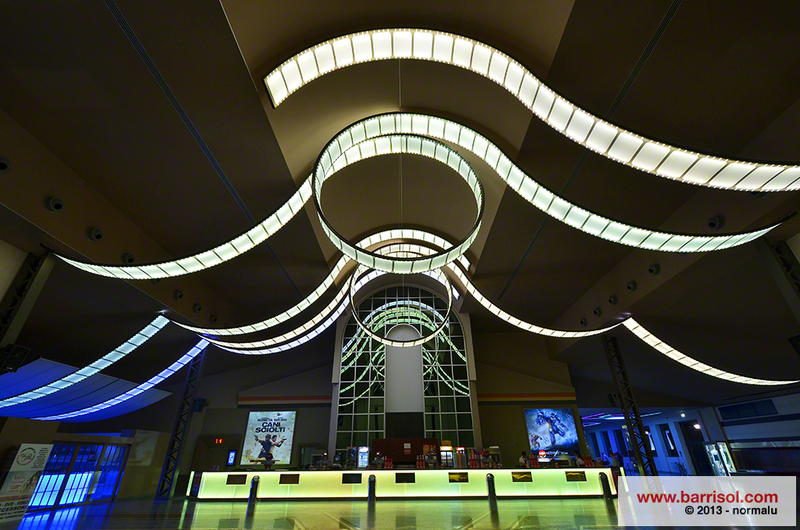 The lobby of this multiplex is particularly impressive. Giant retro lighting bands redolent of film reels adorn the high ceiling of the space creating a special lighting atmosphere. The 3D volume effect expands the dimensions of the space and enhances the perspective effect in a completely unique manner. 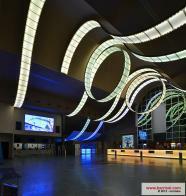 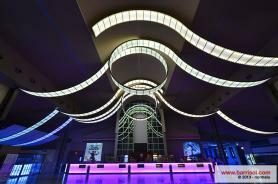 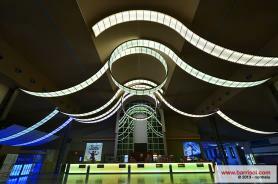 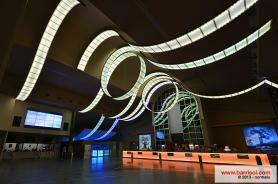 Inside the ceiling ribbons there is a smart LED system controlled wirelessly. They can reproduce many scenic and lighting effects both homogeneously and as a single "ripple effect" for the six ribbons.